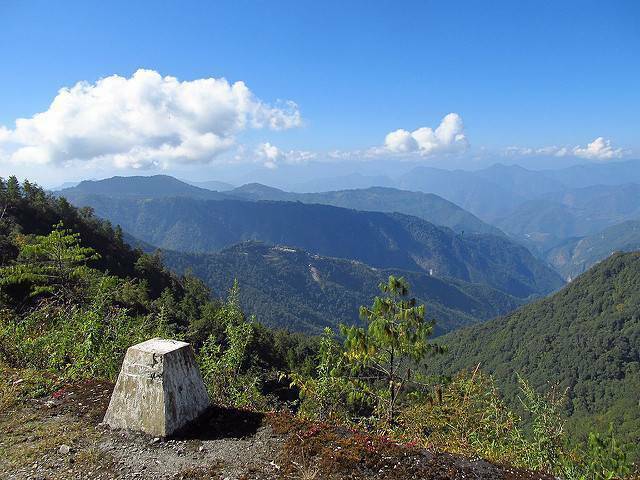 Samdrup Jongkhar is situated on the southern border of Bhutan, adjacent to the states Assam and Arunachal Pradesh of India, which makes it a convenient entry and exit points to the people of Assamese. As it is on the border, this town is a major hub of trading in the South Eastern part of Bhutan and the goods that come from across the border are made available in Trashigang of the East also, as it is well connected to Samdrup Jongkhar. This town is well known as Phuentsholing’s little sister because of its resemblance to the architectural style of Phuentsholing. The Dzongs here are new and are not as spectacular as the Dzongs of the West and are not built on any cliff or near the rivers. Samdrup Jongkhar Dzong is the administrative centre of the district and it is located on a plain, wide area. Zangtopelri Lhakhang, set in the middle of the town, is a new monastery, different from other traditionally built monasteries but it’s the prominent tourist and spiritual site for people in this area. Mithun Breeding Farm is located on the highway route to Samdrup. It is famed for its finest breed of cattle in the country. This town may have few attractions but this is a pleasant place and has its own unique charm. It is the oldest town of Bhutan and also, has the oldest cinema theatre which now screens some Bollywood movies. You will see a good mix of Bhutanese, Indian and Nepalese cuisines and Hindu temples also can be seen here. Hanuman temple is the most frequented temple and on the eve of Hanuman Jayanti, people across the border congregate to offer their prayers.